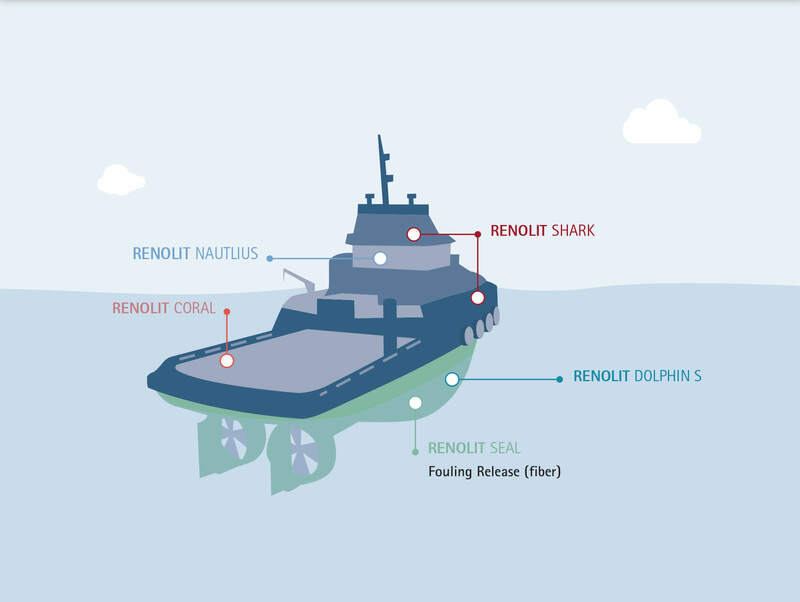 RENOLIT DOLPHIN S offers an alternative to conventional painting. In line with the concept of “Fouling Release”, it is based on a high-quality silicone layer and is totally free of biocides. The RENOLIT DOLPHIN S fouling release alternative reliably protects the surfaces of ships and offshore power generation plants such as tidal power stations and turbines in both fresh and salt water areas – and for up to five years. The Fouling Release technology gives the surfaces of your working vessel a water-like, smooth finish. Fouling organisms have difficulty attaching themselves to hulls and are washed off when the ship moves (above 7 knots). The surface remains smooth, water resistance falls and fuel consumption is lower.